Ontario is a vast snowmobile playground and there’s no way we can cover everything we need to share with you about sledding here in one episode. So this is part one of the podcast; watch for episode two that focuses on monster epic trips. 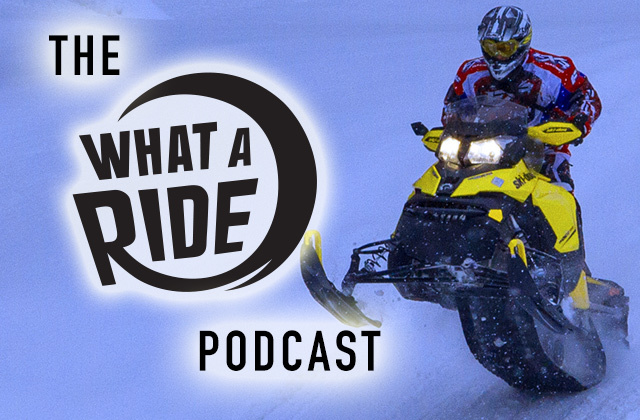 In this episode we cover the start of the season, how our non-sledneck friends can get indoctrinated and check in with some of the trails systems from across the province! Mike regales us with another ludicrous tale of unending opulence at the JW Marriott. Dan Arcand of Muskoka Sports and Recreation tells us how to get started with snowmobiling. Luc Levesque “The Groomer Guy” tells us about conditions in Dubreuilville and the new motorsports haven Magpie Relay. John Breckenridge of the Sault Trailblazers club talks about winning the Early Season Power Tour sponsored by Yamaha Motor Canada and Ontario Tourism. Chris Perera of Sleddealers.ca tells us how to get the best deals on new and used sleds in Ontario. The Mysterious G gives us his thoughts on the #WinTheBraap contest.